The Big Pixel Initiative aims to address the economic impacts of hurricanes in a systematic way that could alleviate hardships and direct funds to the most vitally important areas. 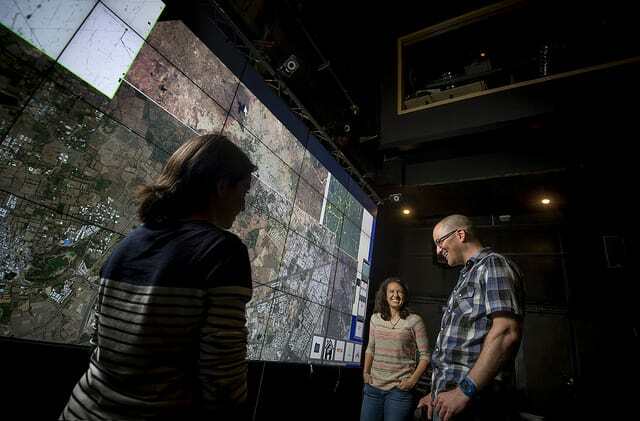 Big Pixel refers to a highly advanced system that uses geospatial data to address our world’s greatest challenges. The program coordinates with leading consultants to the government to provide services to the Federal Emergency Management Agency (FEMA) by using satellite data to help them with disaster operations. Clients also include the World Bank and the U.S. Census Bureau of Statistics, among others. Hurricanes are among the many global issues addressed by this state-of-the-art geospatial data analysis technology. The key question is how hurricanes disrupt local economic activity in the short-run as well as how storm-related damage affects a region’s growth trajectory in the long-run. Answering these questions can have a tremendous impact on government spending decisions in the U.S. and around the world. The more we know about the economic characteristics of vulnerable areas and flood-prone regions, the better recovery efforts will be for communities struggling with financial stability and business losses. Long-term disaster recovery requires reliable, detailed analysis. You can help us continue to train the next generation of innovative thinkers who are committed to using big data to address big issues for global good.